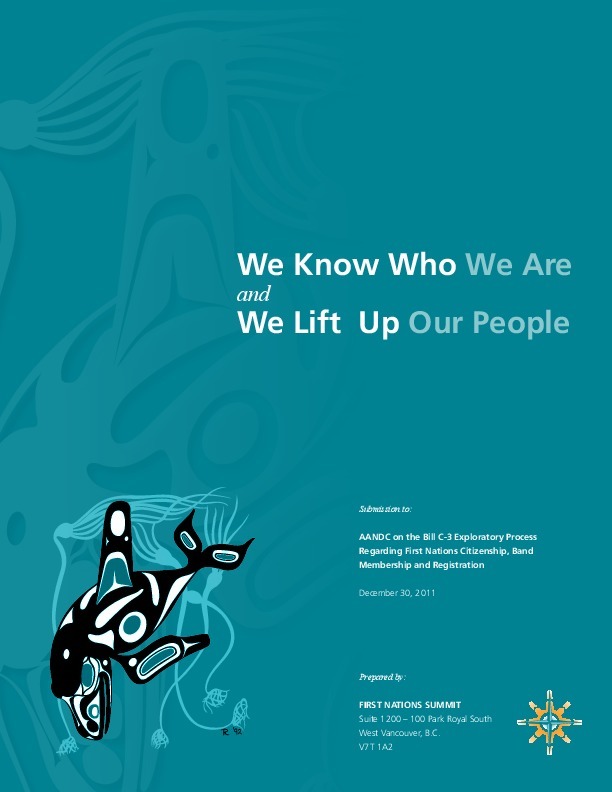 This report has been prepared as part of the First Nations Summit’s participation in Aboriginal Affairs and Northern Development Canada’s (AANDC) “Exploratory Process” regarding Bill C-3. The Exploratory Process was announced at the time Bill C-3 was tabled in the federal Parliament to address concerns raised by First Nations and others about Bill C-3. The Ex- ploratory Process is intended to examine and explore broader issues related to First Nations citizenship, Band Membership and registration as Status Indians.